In November I went to Casablanca. I can't say it was a place that particularly excited me. Other than the mosque it was a bit of a dive! However, there were some very pretty bits that gave me some nailspo. 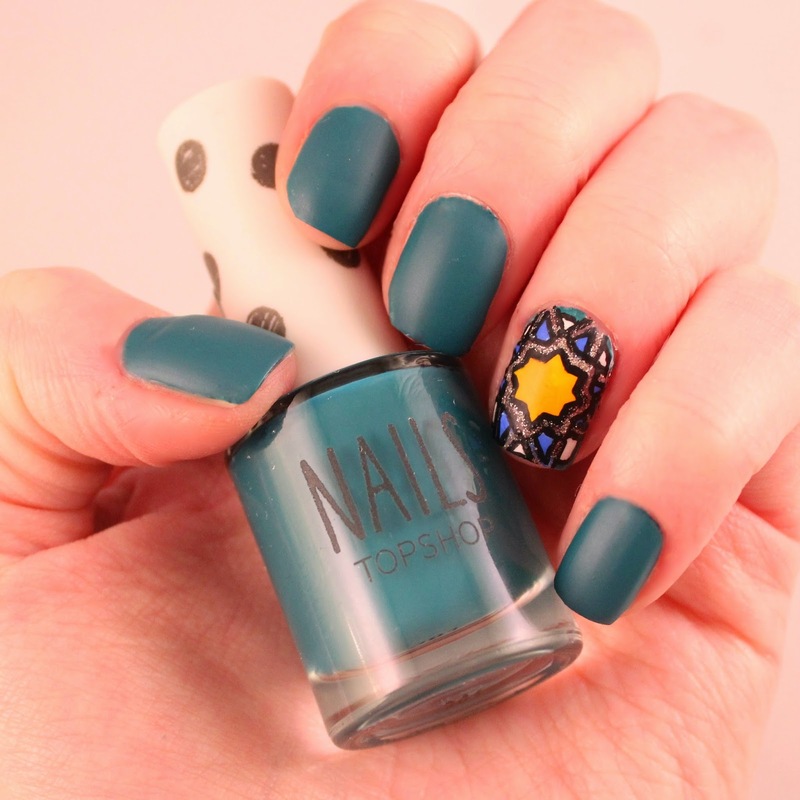 The inspiration for this mani came from a very beautiful tiled floor. 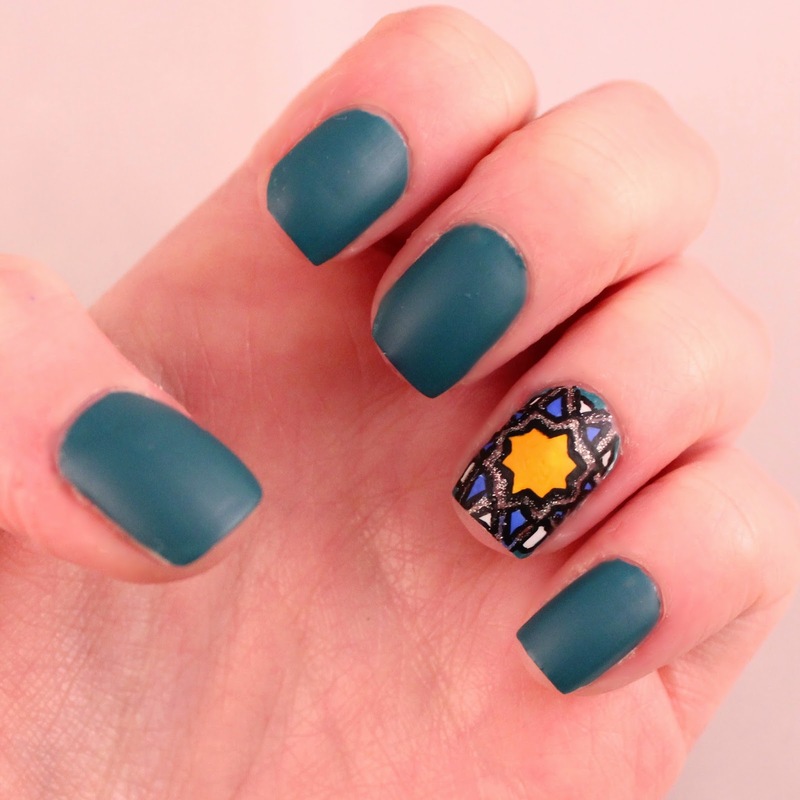 I wish I could have got a bit more of the design on my nail but the surface was a bit too small. I might have to try again when my nails are a bit longer. I used a trio of Topshop polishes for this look: Awol and Totally Turmeric for the design and Teal My Thunder for the other nails. I love the consistency of Topshop polishes I just wish they weren't quite so expensive. Maybe £3 instead of £5? I love Totally Turmeric. I think it's a shade that I will be wearing a lot in summer. 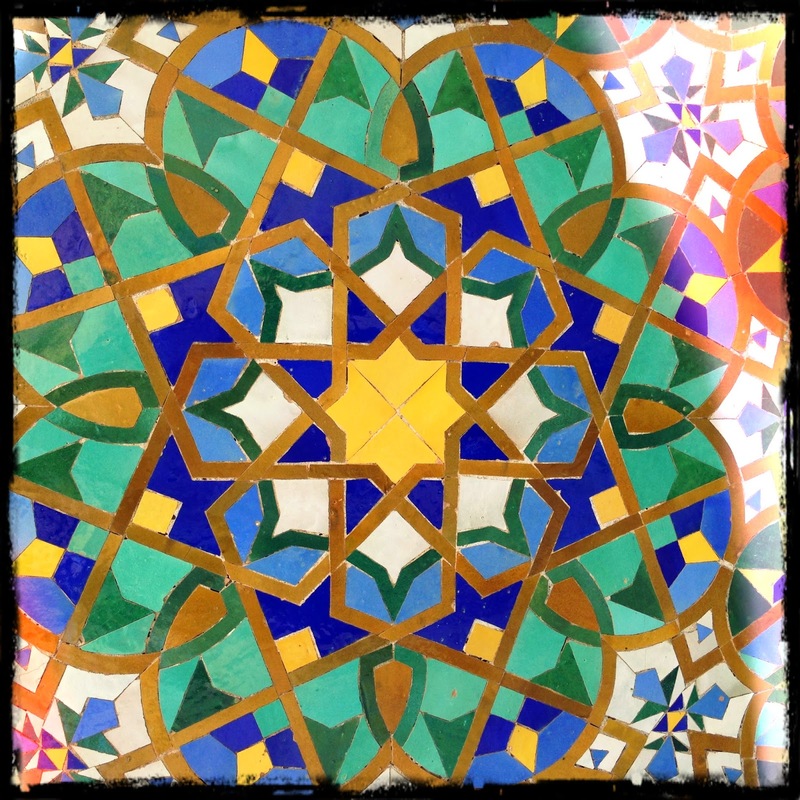 It reminds of Morocco a lot, I think because of the spice connection, of which there were a lot in the souks. Beautiful! On a separate note, my light box still isn't as good as natural light but it's a lot better than my pics taken under a lamp. I can't wait for the weekend though when I have a bit of time off to get to grips with some designs and take some pics in the garden.